Moishes is proud to exhibit the work of Montreal artist Marc Gosselin. 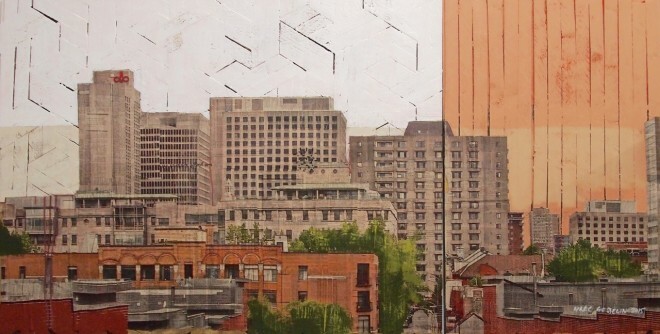 We think you’ll like his multi-media urban landscapes as much as we do. You can find out more about Marc and the exhibition at the GRILLED PROJECT site, including a short new podcast.